Mountain biking is considered a risky sport, so you must take the necessary precautions and use protective equipment when doing the activity. If you are passionate about extreme sports and exercising in natural spaces, mountain biking can be an excellent call to fill your life with adventure. Exploring the mountain on two wheels is not only an activity that will add adrenaline to your life: it is also a great ally for your physical, mental and emotional health. If at any time the idea of starting in this practice has crossed your mind, this article is for you. We will tell you the reasons why practicing mountain biking is a fantastic option and also the benefits of mountain biking for your body and mind. If you thought that to practice mountain biking it is enough to take the bicycle you use in the city and drive to the mountain, we tell you that it goes much further than this. 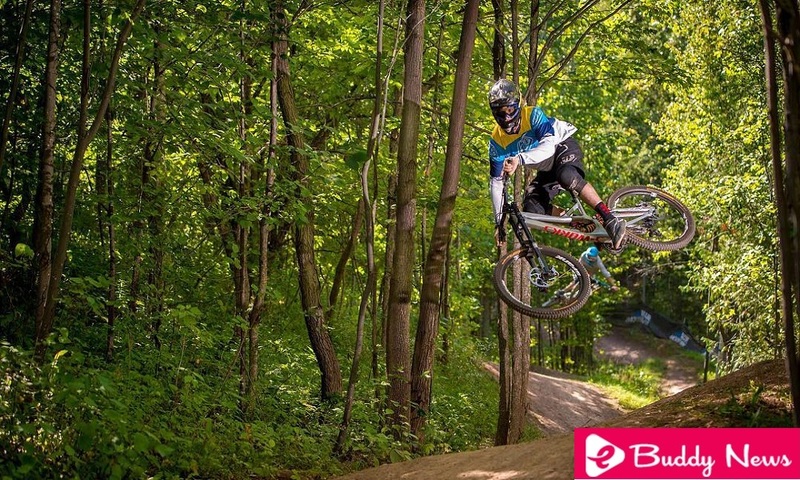 Mountain biking, also known as MTB for its acronym in English ( mountain bike ), is considered a sport of risk. Cross Country or Rally (XC): It is the best-known variant and consists of the competition for ascending and descending terrain. Downhill: It is a term related to downhill routes. Uphill: Unlike the previous one, it’s about promotion races. Win who manages to travel the greatest distance in less time. Cross Country Olympics: This is a competition that follows Olympic standards. XCR: It is a competition in which relays are given at the end of the race. XCE: It is a modality in which the last one to reach the goal is eliminated. Over time, more and more variants of this extreme sport have been emerging. Among the endless modalities that exist, each one has its rules and its charm. This extreme sport will allow you to maintain a good figure. If your goal is to lose a few pounds and tone your body, mountain biking is a good plan for you. Constant practice will help you burn fat, tone muscles and control body weight. Long-term workouts make the body contribute much more oxygen-rich blood to the muscles that work during physical practice. In addition, mitochondria grow and use a greater influx of oxygen. From there, more energy will be generated in your body and you will burn more fat. The connection with nature can sometimes be the best therapy. Unlike urban cycling, mountain biking will help you have a much more intimate connection with forests, jungles and other natural areas. In addition, a walk in the mountains also means a break from the scenarios that we face on a daily basis. A break from the routine! Cycling, in general, is highly recommended for patients with cardiovascular diseases. If done frequently, this practice reduces the risk of coronary heart disease and even the risk of heart attack by at least 20%. To make matters worse, these exercises positively influence the circulation. The bad cholesterol (LDL) of the blood is reduced significantly. In addition, each pedal stimulates circulation and prevents the appearance of varicose veins and stretch marks. Mountain biking requires effort. So much so that within the immune system begins a process of inflammation that causes new fibers to be born or those that already exist to regenerate. This happens with the objective of preparing the body for when it is subjected again to such a stressful situation. This whole process helps to prevent diseases because it speeds up the movement of white blood cells that fight viruses, bacteria, and diseased cells and boosts your immune system. This sports activity has a great impact on brain functioning. This is because exercise strengthens memory and sharpens the ability to solve complicated problems. Cycling, like most physical exercises, makes you feel better because you release endorphins, the hormone of happiness. These neurotransmitters work as natural analgesics that make us feel lighter and generate a feeling of well-being. Now you have more reasons and benefits of mountain biking, when are you going to start? Cheer up: your body and mind will thank you.